Maintain a healthy, active lifestyle with help from this wireless activity tracker, which tracks your steps, distance, calories burned, active minutes and sleep patterns for 24/7 monitoring. A wireless sync dongle is included for easy connectivity to your Windows, Apple or Android device. 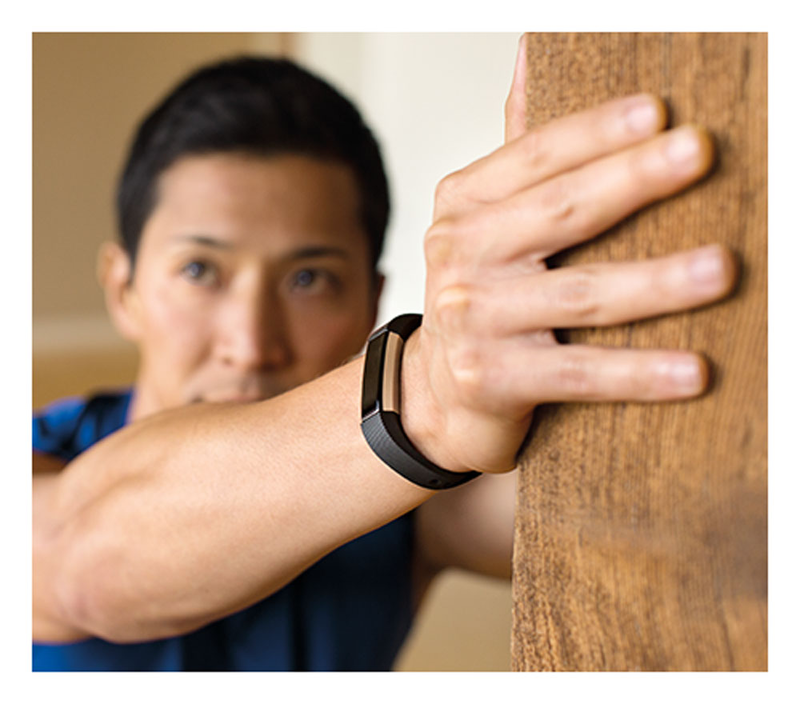 The Fitbit Alta is everything you need and more in a smart watch. It keeps track of daily activity for you by measuring steps taken, distance traveled and calories burned. A backlit OLED display makes for easy viewing in low-light conditions. The Fitbit Alta syncs to select Apple, Android and Windows devices such as the iPhone, iPad, iPod touch as well as cell phones and tablets with Android or Windows simple wireless communication. With the Fitbit Alta you don't have to worry about taking it off when you get in the shower or caught in rain!